The proper way to stage a home. 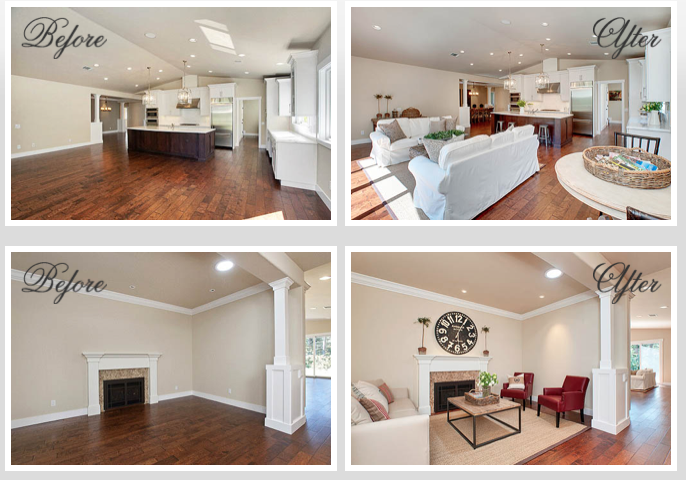 Home staging is meant to create a neutral canvas that will appeal to the majority of buyers. Staging is all about de-personalizing the space, and creating more of a luxury hotel or a model home look that will appeal to most everyone. This is not the time to bring in your unique style and create a look that appeals to just you. If painting, you should choose a nice, neutral and warm color, such as beige tones, grey tones, or light blue or pale greens. You’ll be amazed at the transformation a few coats of fresh paint will make on your home. People love natural light, so blocking off any light with heavy curtains or furniture can hurt your sale, especially if the home has attractive views. Anything dated in a home is a turn-off to a buyer and window treatments are one of them. 4. Thinking more is better: Scale down your furniture. The size of the furniture needs to be in balance with the scale of the room and the other furniture in it. Remember that the purpose of furniture when selling a home is to define the purpose of the room and to show what will fit where. It is not meant to show that you can provide seating for 15 in your living room and every seat has a side table to rest drinks on. You need to remove all traces of animals from the house and make sure “Fido” or “Sunshine” is away during showings. Having a pet could kill a sale before someone even steps into a house. People care about the outside space just as much as the inside, so add flowers, make sure the lawn is mowed, the yard is tidy and add a few backyard accessories for the kids. People are quick to stage living rooms, kitchens and bedrooms, but don’t forget to spruce up the garage, basement and closets as well. When staging a home, it’s important to ensure all lights are burning with fresh bulbs, and that all fixtures are working.